Regular worship services are held each Sunday at 11:00 A.M. Advent, Christmas, Lent, and Easter. Personal Listening Systems are available for the hearing impaired. Nursery care is provided for preschool age children starts at 9:30 am. A portion of the worship service each week is dedicated to all children. The children are also excused at the beginning of the service to attend their own Children’s Church. 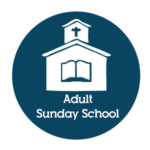 Sunday School for all adults begins at 9:45 A.M.
Click on blue directions arrow on map and type in your location to receive exact directions to Crossroads United Methodist Church. From 164 : Take US58W (London Blvd) towards Suffolk. Take a slight Left onto Rodman. From 264: Take VA337E/Portsmouth Blvd (exit 4). Take a slight Right onto Airline Blvd. Turn Right onto Rodman Ave. WEUMC will be on your Right.